Many people involved in climate activism have probably heard of North Carolina’s reaction to sea level projections. The reaction has been exaggerated by some of those same activists. I read this article and had the following thoughts. By the end of the century, state officials said, the ocean would be 39 inches higher. Up to this point, readers probably have one of two reactions. They either agree with quoted environmentalists and think N.C. tried to “legislate away sea level rise.” Or they agree with Kelly’s reactions and the legislature’s boundaries on projection scope. This is the problem with the vast majority of climate activists’ language: they coldly announce that civilization will collapse and won’t offer actions people can take to avoid such a collapse. Well, people will respond to that language, just not the way activists want them to. People will fight activists and identify with climate skeptics’ arguments since they view the announcements as a threat to their way of life. Where I differ with Kelly and others is this: she and other coastal residents had better look for viable long-term solutions before that 30-year period is over. If they prevent long-term planning beyond 2040, inland residents of N.C. will be unfairly burdened with the cost of subsidizing Kelly and others for their lifestyle choices. Long before that would happen, though, Kelly worries that codifying the 39-inch forecast would crush the local economy, which relies entirely on tourism and the construction, sale and rental of family beach houses. In Dare County alone, the islands’ largest jurisdiction, the state has identified more than 8,500 structures, with an assessed value of nearly $1.4 billion, that would be inundated if the tides were 39 inches higher. The Coastal Resources Commission bungled their attempt to evaluate the science and establish policy. By the time they announced results with no action plans, rumors fed by misunderstanding and bias confirmation ran rampant. The result was Kelly’s actions to change the time horizon that planners could use. So what are the solutions? The Commission should establish and maintain relationships with stakeholders. Get to know the mayors and planners and scientists and property owners. Find out what their interests are and what motivates them to do what they do. Identify actions they can take in the next 30 years that sets them up for success afterward. But don’t release information without context. Because sea level rise is likely to accelerate in the 2nd half of the 21st century. But most people will focus on potential direct threats to themselves and their livelihoods, not global concerns. So get into the weeds with folks. 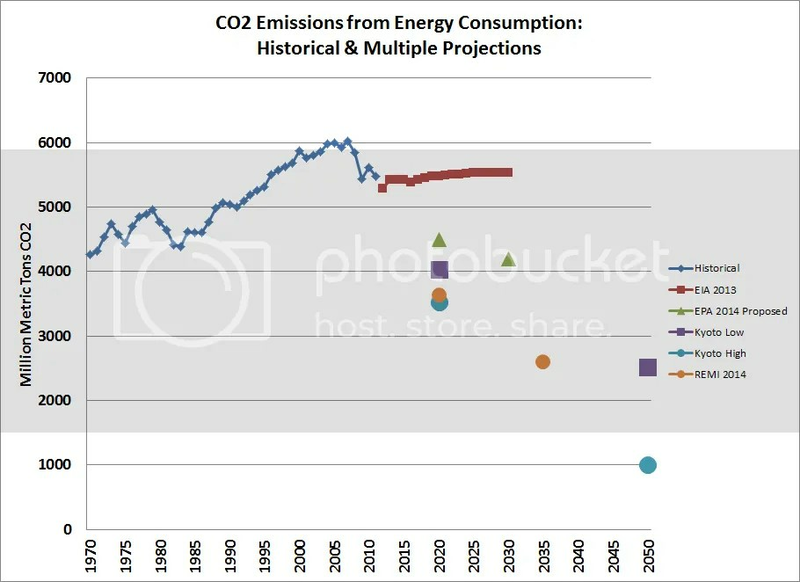 Categories: economy, framing, global warming, meta, policy, politics, science | Tags: climate change action, climate change adaptation, Coastal Resources Commission, North Carolina, science policy, sea level rise | Permalink. 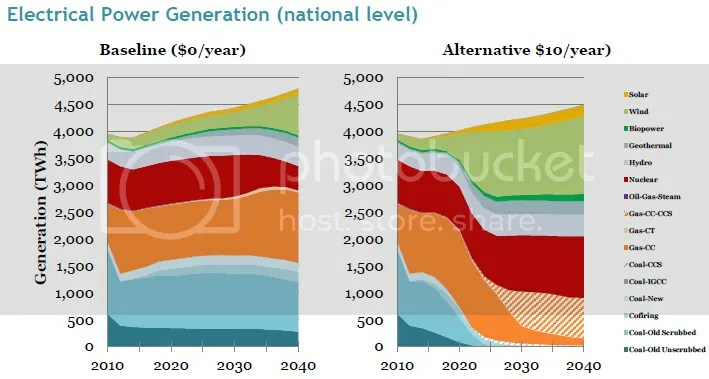 I agree with Podesta’s assessment that fifty years from now people will look back and judge that Obama and everyone else didn’t do enough to curtail GHG emissions and prevent a great deal of additional global warming. That isn’t a slight on Obama’s character – or anyone else’s – it’s a statement on how I view action on the topic. Isn’t it interesting that Podesta helped select the same aides who refused to push climate higher on the problem list? Podesta is a smart guy – he knew what peoples’ pet issues were and what weren’t on their list of priorities. So in the same interview that Podesta says Obama’s climate actions won’t seem like enough in fifty years, Podesta lays some blame at the feet of first-term aides who didn’t prioritize climate for the lack of Obama’s action. Perhaps a little self-assessment didn’t make the article due to editing, but it would be nice to see people take responsibility for how we’ve gotten here. That includes Democrats and climate activists right along with Republicans and skeptics. The science he is faced with […] demand actions that seem preposterous to the political and economic status quo. This language implicitly assumes that what certain people want should take precedence over others. The author, like many others, think they would like those certain people to be scientists instead of conservative theologians or accountants or any other person. Science doesn’t demand anything in this or any other instance. We use physical science to assess what the physical effects of GHGs have been and will be on the climate system. That’s where physical science ends. If you want to do anything about that information, you bring in social science – political science, sociology, environmental science, philosophy, etc. Those fields have much to say about what to do and why a particular course of action might be desirable – see normative theory. Too many people confuse the two. Or more accurately in the climate change realm, they argue using physical science as a proxy in normative debates. This is a large source of the polarization of science today. Instead of using proxies, people should debate the core issues. If the core issue is the political left versus right, the debate should be on value systems and specific values. Instead, people drag climate science into the normative debate and among the results is the refusal to accept climate science as valid by skeptics. This has more to do with perception of legitimate authority than the actual science. I wrote much the same thing. The science is quite clear on this. 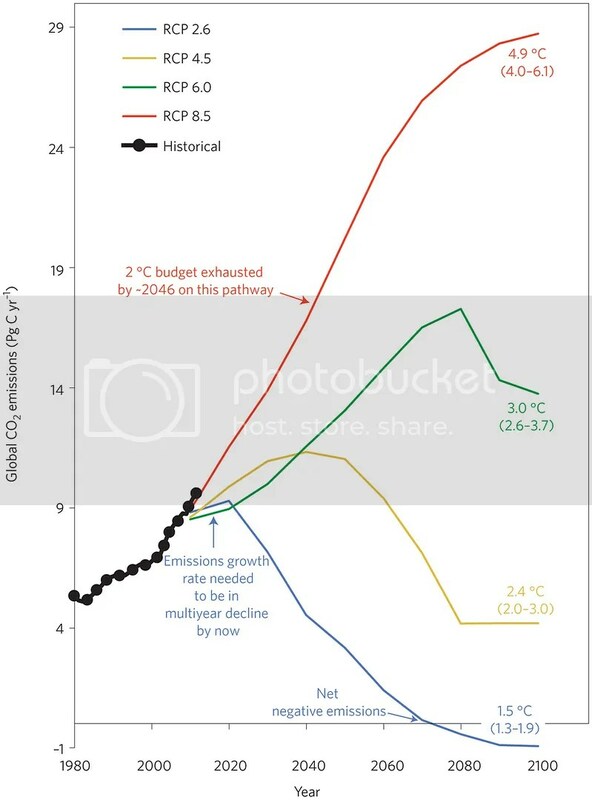 Whether you think the policy is bad or good or whether hitting or not hitting the 2°C target is a bad or good thing are separate discussions. Personally, I think not hitting the 2°C target is a bad thing. But I know that’s a normative judgment about a scientific result. I therefore support more effective policy actions such as a carbon tax. Again, this rule is merely proposed at this time. EPA originally said it would propose the rule in 2011-2012, then put it on indefinite hold so Obama could run for re-election. It will now face legal challenges. It will not go into effect for at least two years, and quite possibly four to six years after all the legal challenges. In that time frame, we will have at least one new president, who will put their choice for EPA administrator in place, who will be responsible for directing the agency on the rule’s implementation. The rule will be effective until 2030 and will face two additional presidential election results. Do climate activists think Republicans will leave the rule alone through 2030? How do we square that with the knowledge the rule is far from sufficient to limit warming to <2°C? What are the next policy steps with these real world boundaries? 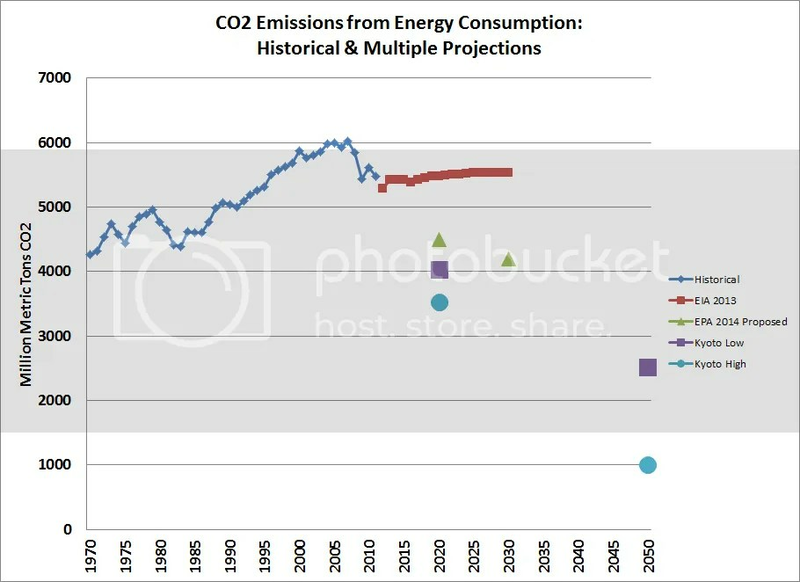 Categories: energy, environment, framing, global warming, policy, science | Tags: 2014 EPA rule, 2°C target, climate policy, climate science, climate skeptics, energy policy, John Podesta, normative theory, proxy fight | Permalink.